High-rise buildings have been built in recent years all around the world and the majority of their structures are built using reinforced concrete as the core and structural steel as the surrounding frame. 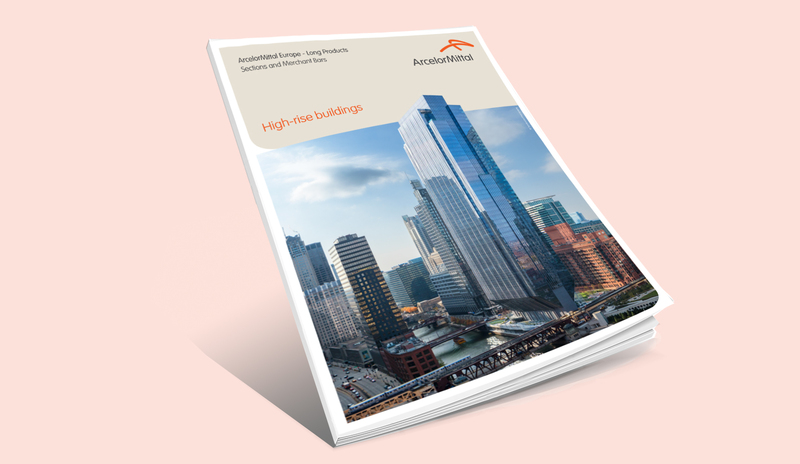 Minimising the size of the vertical structural elements, without compromising the economic feasibility of projects and limiting their impact on tall buildings’ floor plans, is a constant challenge. The use of composite structural elements combining high grade concrete and steel is a viable solution. Currently, concrete filled tubes (CFT) or concrete filled continuous caissons built-up by welding heavy plates are common structural solutions. Their main drawbacks include high costs, the need for skilled labour, complex connections, and requiring welding conditions for heavy plates, such as preheating and repairing. Megacolumns are composed of more than one structural steel wide flange shape with longitudinal rebar and ties embedded in concrete. These are believed to be a convenient solution in terms of structural behaviour, cost and constructability for the design of tall buildings (incl. towers over 300m). They serve to support gravity loads, as well as axial loads from wind and seismic overturning, and the reinforced concrete surrounding the megacolumns is not only for structural stability, but also protects the steel column from corrosion and fire. optimisation of the section using composite action decreases significantly the environmental footprint of the structural system. Experimental performance tests on composite megacolumns with encased hot rolled steel sections, which were supported and founded by ArcelorMittal, were carried out between February and September 2015 at the China Academy of Building Research Technologies (CABR) Laboratories and the Laboratories of Tsinghua University, Beijing. The design office, Magnusson Klemencic Associates, provided background studies on comparative composite megacolumn construction projects, both within China and other international markets and the Council on Tall Buildings and Urban Habitat (CTBUH) assumed the role of project coordinator. 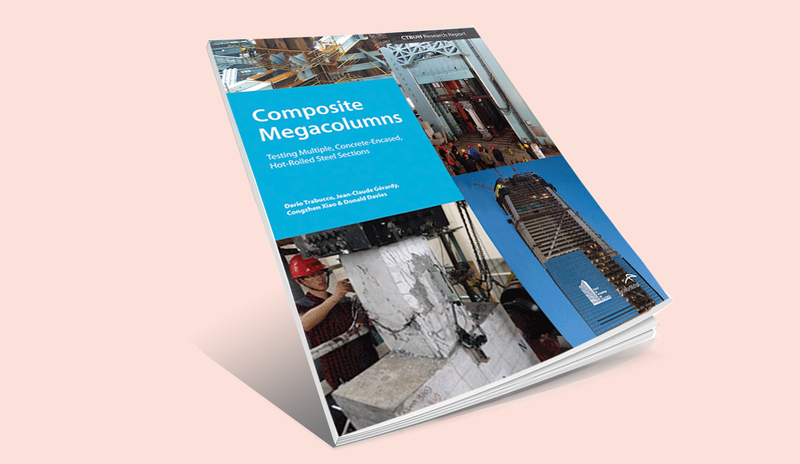 The composite megacolumns considered in this testing were defined as vertical structural systems with four hot-rolled steel sections embedded in concrete and subjected to significant vertical loads and secondary bending moments from wind and seismic actions. Although codes and specifications do consider composite structural elements, they do not offer specific provisions on the design of composite sections with two or more encased steel sections (American Institute of Steel Construction_AISC_ 2010 Specifications for instance). The lack of knowledge on the axial, bending and shear behaviour of composite megacolumns, along with the resulting lack of clarity in the codes, is what led to the need for experimental performance tests. The column specimens’ overall layout and geometry were based on suggestions from Magnusson Klemencic Associates and others, with the ultimate goal to be representative of full scale composite columns considered for high-rise buildings. Overall dimensions of the representative full scale columns considered for this testing program are 1800 x 1800mm, with a height of 9m at the lobby level (base of the tower) and 4,5m at the typical floor. The experimental campaign consisted of two sets of tests that attempt to define the axial load and moment (P-M) interaction curves of the representative columns at failure. Static tests were accomplished by applying 0%, 10% and 15% eccentricity axial loads, on six 1:4 scaled specimens, until failure (Figure 3.9). Quasi-static tests were accomplished by applying 10% and 15% eccentricity axial loads with horizontal forces on four 1:6 scaled specimens, until failure (Figure 3.11). The results of the tests were used to investigate the specimens’ maximum capacity, displacements, stress distribution, ductility and stiffness. 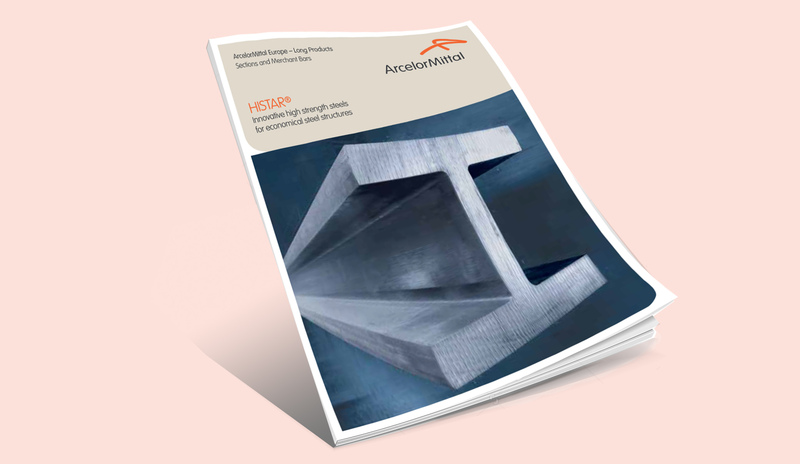 The experimental results were further validated by the finite element method (FEM) models developed by CABR and ArcelorMittal with Abaqus and Safir software. FEM models also allow for a deeper insight on steel-concrete interaction forces and stress distribution. Then simplified design methods based on European, Chinese, and US codes were suggested and the results were compared to the numerical and experimental values (Figure 3.10). 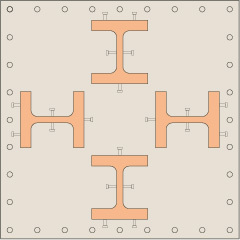 This proved the simplified structural design methods to be an effective and useful design tool. A complete description of the research programme, design methods, design examples including all information and data of the experimental campaign can be found here.